People are hacked off with politicians. Whether it’s hurling abuse at MPs outside the House of Commons, or the burning barricades of Gilets Jaunes in Toulouse, discontent is in the air. The evidence movement must respond to the ‘politics of distrust’. We cannot carry on regardless. For evidence advocates like us, reaching over the heads of the public to get research into the hands of elite policy-makers is not enough. Let’s be honest and accept that a lot of our work goes on behind closed doors. The UK’s nine What Works Centres only rarely engage with the public – more often with professionals, budget holders or civil servants. The evidence movement needs to democratise. However, the difficulty is that evidence is hard work. It needs slow-thinking, and at least a passing knowledge of statistics, economics, or science. How on earth can you do all that on Twitter or Facebook? In a report published today we look at ‘mini-publics’ – an alternative democratic platform to connect citizens with research. 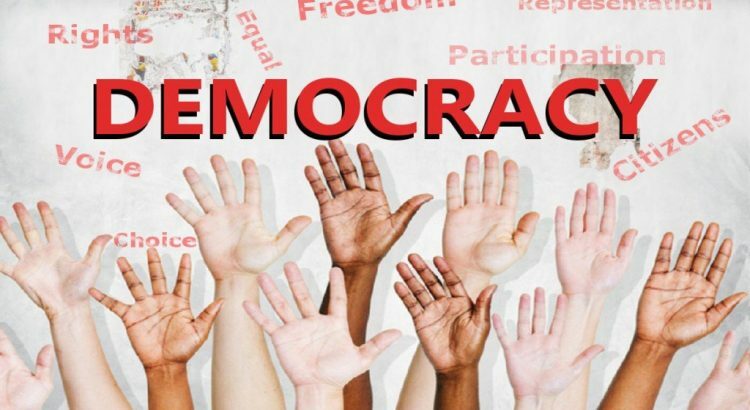 Citizens’ Juries, Deliberative Polls, Consensus Conferences and other mini-publics are forums that bring people and evidence together, for constructive, considered debate. Ideally, people work in small groups, that are randomly chosen, and have the chance to interrogate experts in the field in question. This is not a new idea. The idea of a ‘minipopulus’ was set out by the American political theorist Robert Dahl in the 1970s. Indeed, there is an even older heritage. Athenian classical democracy did for a time select small groups of officials by lot. It’s also not a utopian idea from the past, as we have found many promising recent examples. For example in the UK, a Citizens’ Assembly on adult social care gave recommendations to two parliamentary Select Committees last year. There are also examples of citizens contributing to our public institutions and agendas by deliberating – through NICE’s Citizens Council or the James Lind Alliance. We shouldn’t ignore this resistance to the mood of disaffection. Initiatives like the RSA’s Campaign for Deliberative Democracy are making the case for a step-change. To break the political deadlock on Brexit, there has been a call to create a Citizens’ Assembly on Brexit by former Prime Minister Gordon Brown, Stella Creasy MP and others. And there are many hopeful visions of a democratic future from abroad – like the experiments in Canada and Australia. Our report explores many of these international examples. Citizens can make informed decisions – if we allow them to be citizens. They can understand, debate and interrogate research in platforms like mini-publics. And they can use evidence to help make the case for their priorities and concerns. Our message certainly isn’t that this is an easy task. That’s why we take a critical look. There are two major challenges that mini-publics must confront: firstly, they need to move out of small niche political science circles and enter the mainstream. Secondly, they need to get smarter in their use of experts and evidence. It is no longer acceptable to rely on single views. Mini-publics should draw on systematic reviews that look at all the available evidence, presented in a fair and accessible way, rather than rely on experts alone. Evidence vs Democracy draws out key lessons for both the evidence movement and for organisers of mini-publics. In this blog our partners at Carnegie Trust and Newcastle University highlight what we’ve learnt about how mini-publics can have real impact on policy. There are no simple solutions to the current discontent. But facing these challenges – and getting out of our comfort zones – is the only way we’ll shape an evidence movement, and a democracy, that’s up to the task.